The nation's Best Theme Park Holiday Event continued at Silver Dollar City this week, as more guests came out to experience the lights, sights and wonder of An Old Time Christmas®. 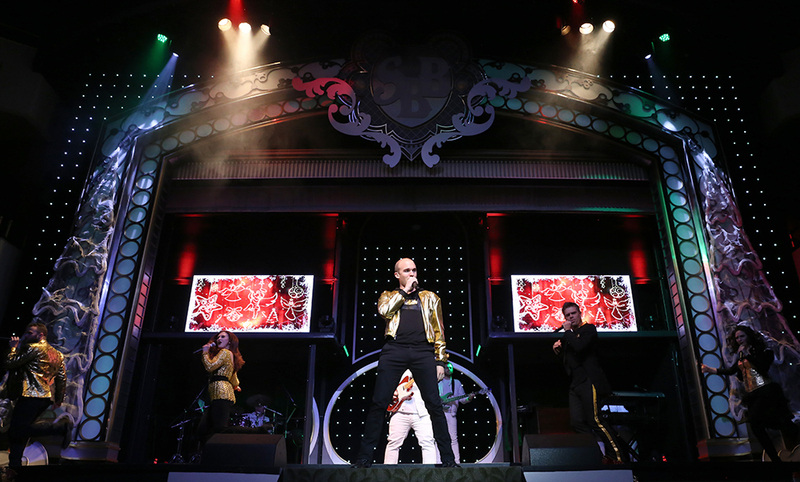 Plus, the cast of the Showboat Branson Belle's new Christmas variety show wowed audiences with music from the 60s to today, holiday hits, toe-tapping footwork, magic and comedy. Santa Claus also made a long-awaited return to Table Rock Lake, as we kicked off our third season of Santa's Pancakes & Pjs Cruises. Relive all the fun with a few of our favorite photos, and make plans to start making your own Christmas memories by visiting us soon! 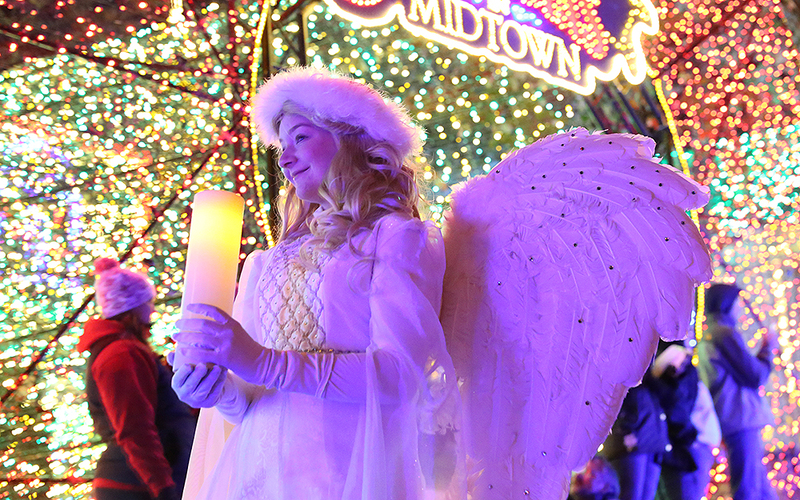 ‍At Silver Dollar City, an angel walks past Christmas lights on Hugo's Hill Street during the nightly parade. Guests pose with Rudolph™ The Red-Nosed Reindeer, Clarice™ and an elf in Rudolph's Christmas Town. A young guest hugs Bumble The Abominable Snow Monster™ in Rudolph's Christmas Town. The Ghost of Christmas Past, right, visits Ebenezer Scrooge during a pivotal scene in A Dickens' Christmas Carol, an original musical based on the classic novel by Charles Dickens. ‍As in the novel, the Cratchit family also features prominently in the musical. ‍The cast of A Dickens' Christmas Carol performs the closing number in the Opera House. 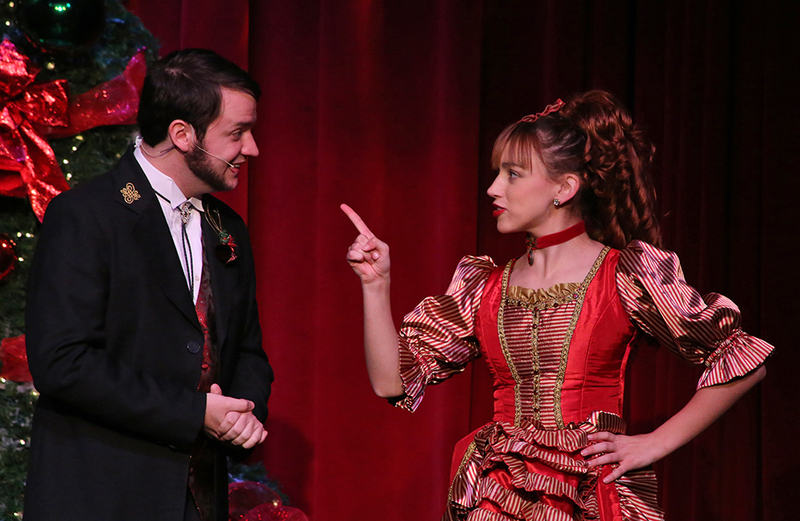 ‍The Red Gold Heritage Hall also hosts a musical that rivals Broadway, It's A Wonderful Life — an original musical adaptation of Frank Capra's iconic Christmas film. Here, George Bailey, left, meets with Henry F. Potter during an emotional scene. ‍The townspeople of Bedford Falls sing during the opening number. ‍Long before she marries him, Mary admires George Bailey working at the soda fountain. 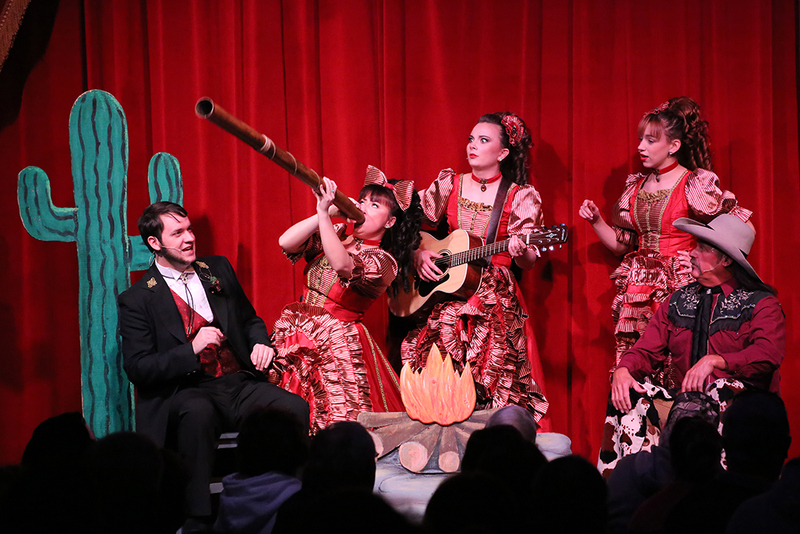 Fellow cast members look on with bewilderment as a cast member plays a didgeridoo during Frontier Fa-La-La Follies, a rollicking Christmas comedy at the Silver Dollar Saloon. ‍Cast members tell jokes on stage during the Saloon show. 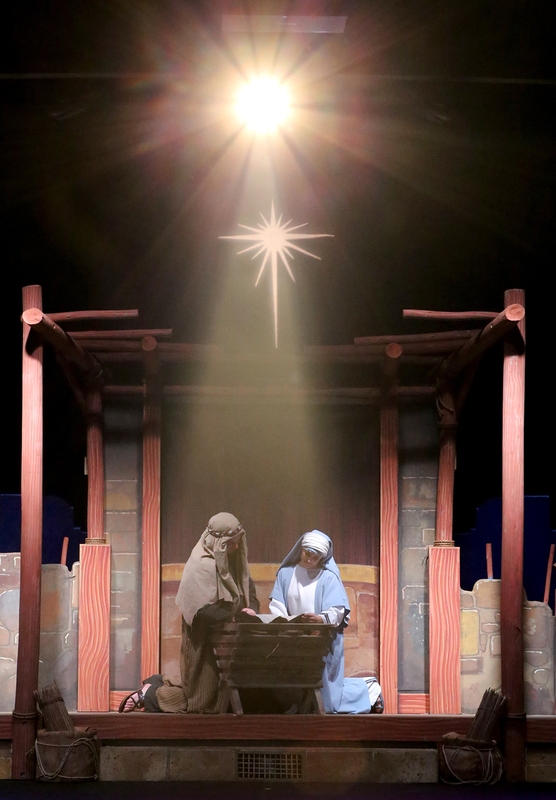 ‍A star shines bright above the Riverfront Playhouse stage during a performance of The Living Nativity, a dramatic account of the birth of Jesus Christ. 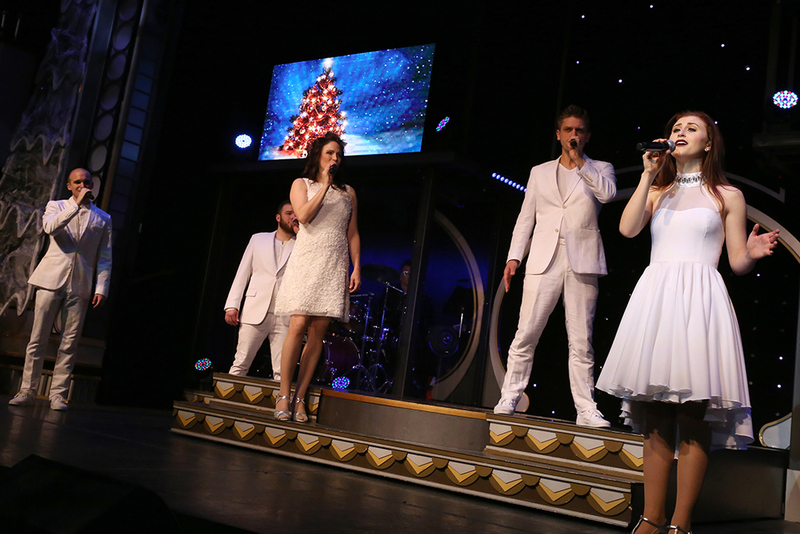 ‍At the Showboat Branson Belle, the Showboat Singers perform "Go Tell It On The Mountain" — one of many Christmas songs featured in the new holiday show. ‍The cast shows off their new costumes during a moving tribute to our nation's veterans. The Showboat Dancers tap their toes during a performance of "Santa Claus Is Coming To Town." ‍The Showboat Singers show off their dance moves while performing "Run Rudolph Run." 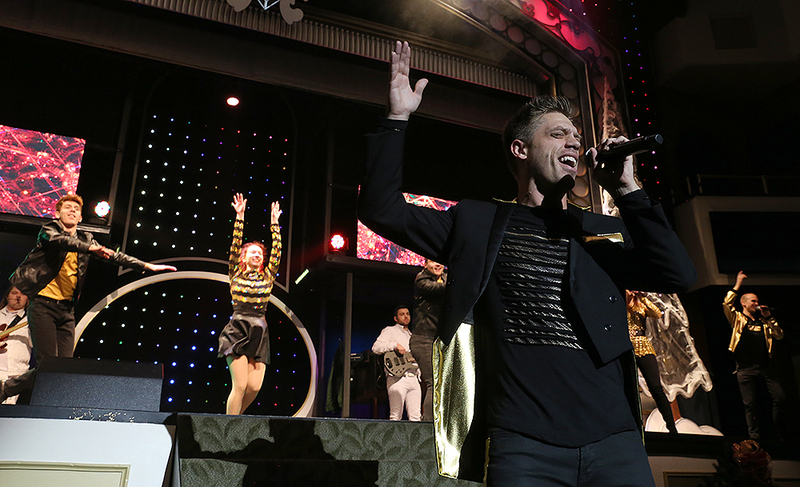 ‍A Showboat singer makes his way into the audience as he sings "Rockin' Around the Christmas Tree." 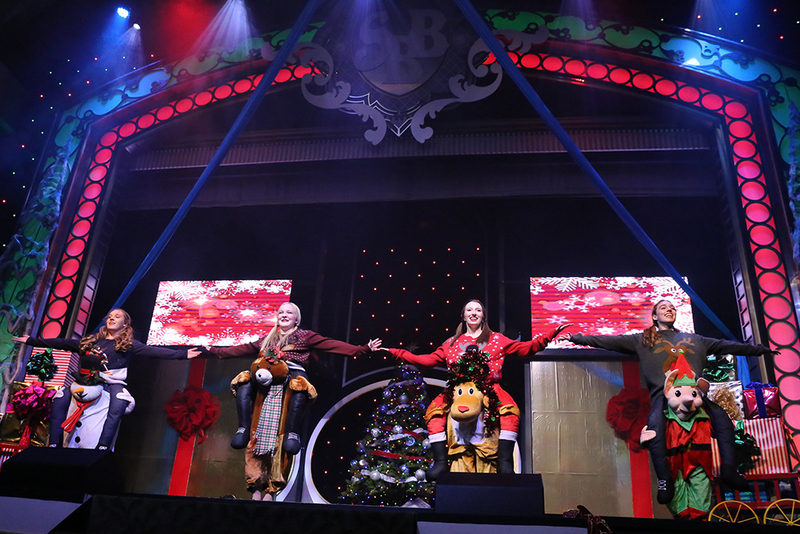 The Showboat Branson Belle also held its first Santa's Pancakes & Pjs Cruise of the year. 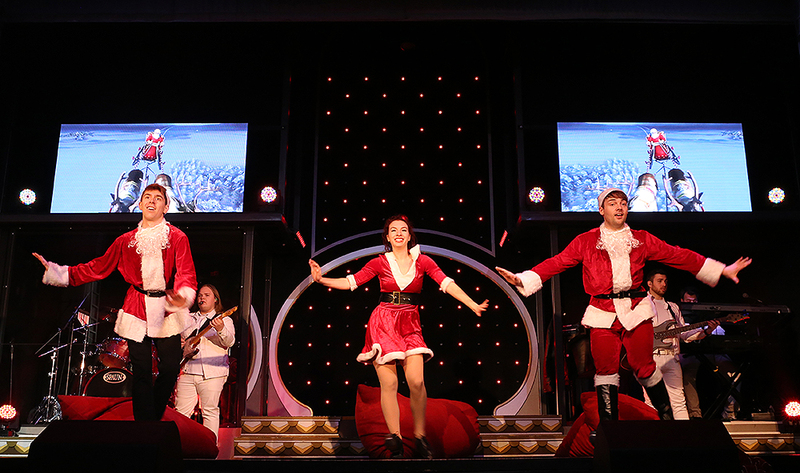 Here, cast members don some festive costumes to welcome Santa Claus to the stage. 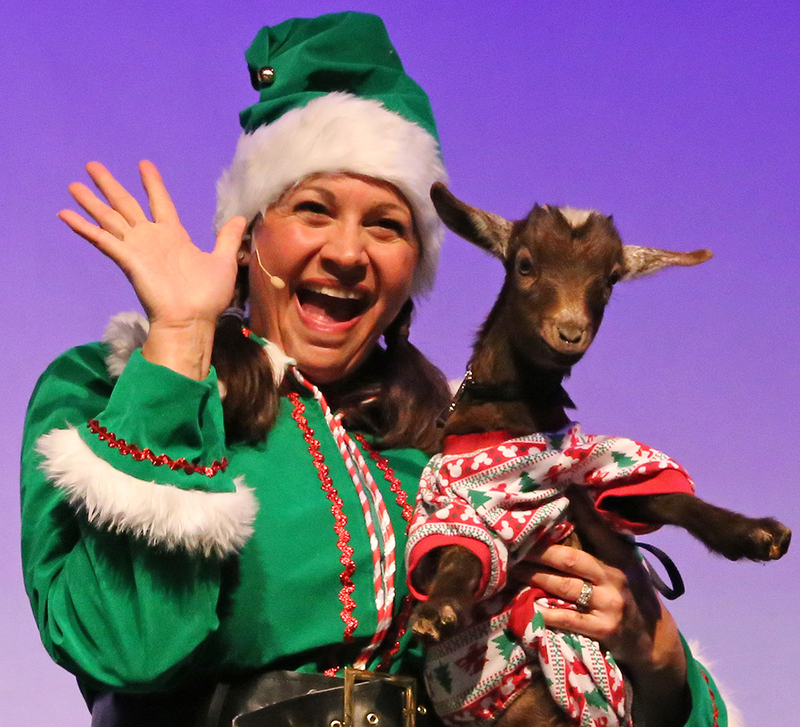 ‍A special guest from Branson's Promised Land Zoo wears some pajamas on stage. 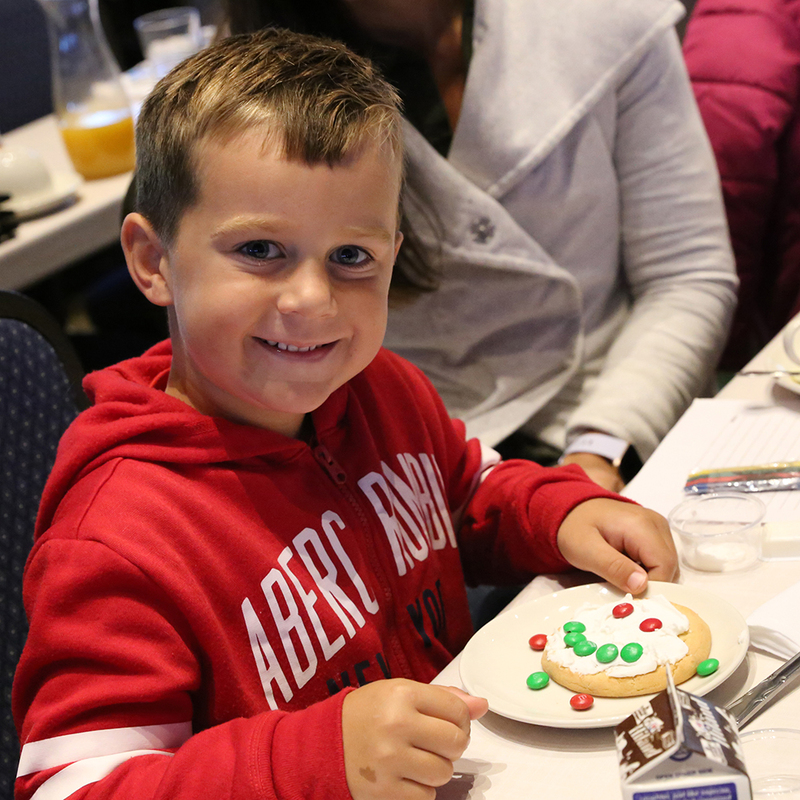 ‍A young guest poses with the cookie he decorated prior to the start of the show. 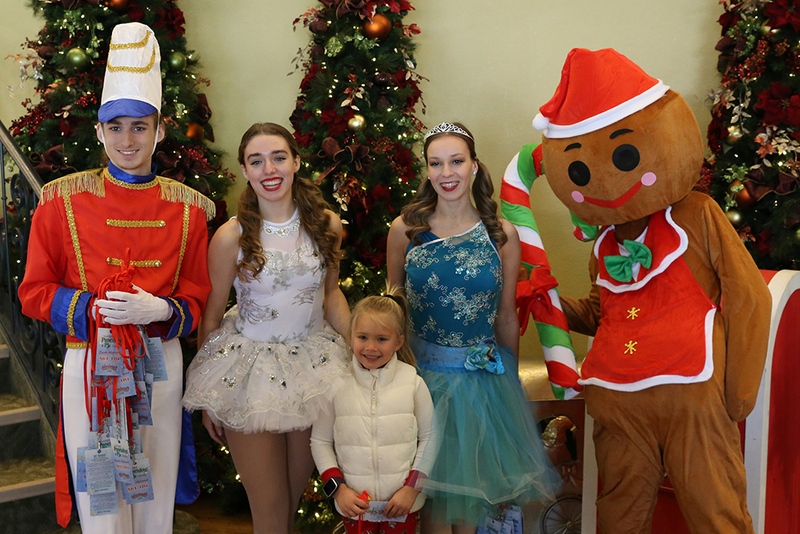 ‍A guest poses with a toy soldier, sugar plum fairies and a gingerbread man in the atrium. 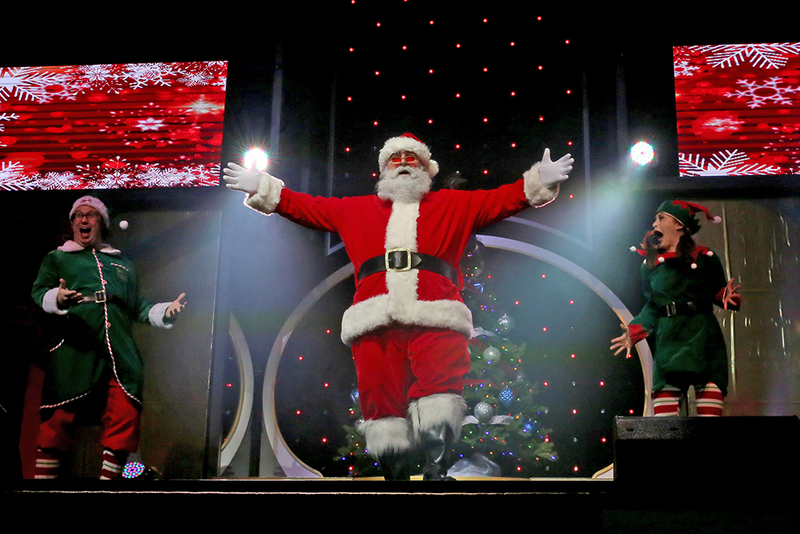 ‍The show features a guest appearance from Santa Claus himself! Don't wait to celebrate! Santa's Pancakes & Pjs Cruises and the Showboat's Christmas Show continue select days through December 23, while Silver Dollar City's An Old Time Christmas® continues select days through December 30. Get your tickets today!